People around the World are living longer. Between 2000 and 2050, the proportion of the World’s population over 60 years old will double from about 11% to 22%. This means an increase from 605 million to 2 billion in that time period!! The number of 80 years olds and over will quadruple in that period.25%-30% of people aged 85 or older have some degree of cognitive decline, such as Alzheimer’s. The biggest killers are hearty disease, stroke and chronic lung disease. The greatest causes of disability are visual impairment, dementia and osteoarthritis. We all want to live longer and healthier lives and right now, we are in such a crucial period where we have the means to do exactly that. 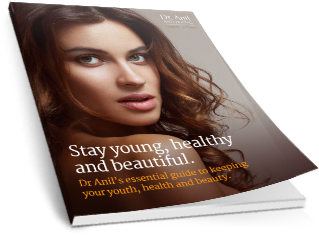 We can fight the ageing process, we have the ability to live much healthier lives than ever before and this, enjoy our elder years, feeling and looking youthful again. Just imagine maintaining your hobbies throughout your 60/s, 70’s, 80’s and even 90’s! Hitting that golf ball 200 yards sailing with your friends, skiing down the slopes, enjoying your ballroom dancing and having the energy and vigour to play with your kids and grandkids as you age….whilst still looking youthful with healthy glowing skin…. Healthy ageing starts with healthy behaviours in the earlier stages of life. We can prevent and manage age-associated diseases. The quicker we take action, the better chance we have of ensuring a better quality of life. Men and women that invest in healthy ageing can expect a significant and economic return for themselves. Dr. Anil will recommend specific blood tests and genetic tests(using a simple non-invasive swab test from the inside of your mouth). He will then personalize a treatment programme according to the results of these tests, ensuring any deficiencies are corrected. Also, you can choose from the menu of Anti-Ageing packages which includes the popular Brain Fitness screening package and the Skin Fitness package. Blood tests can either be done separately from genetic tests or ideally integrated into specific packages. Facts:The degree of influence of diet on the balance between health and disease may depend on the genetic makeup of a person. The 12 selected genes of BASIC profile play an important role in several metabolic pathways such as lipid,carbohydfrate and homocystiene metabolism, inflammation and de-toxification processes. Who and when should be tested: Like any preventative test, it may be performed as early as possible in case of: lipid, carbohydrate or homocysteine metabolism disorders, suspicion of lactose intolerance, suspicion of bad detoxification of xenobiotics/stimulants, chronic and inflammatory diseases. Why BASIC profile: This is a “starter” preventative test. It gives 1st overview of genetic health capacities in order to prevent, attenuate or cure chronic diseases. Results and Interpretation: This profile highlights one or more genes involved in one or more nutritional fields. According to the genotype, individual targeted dietary recommendations are provided. Additional information: Since the BASIC Profile is a genetic analysis, it needs to be carried out only once in a lifetime. Required sample material is either a blood sample or a saliva sample. Facts: Hormonal levels start to decrease with the menopause in women between 45-50 years of age. Hormonal replacement therapy(HRT) is often proposed. Badly adapted dosage of hormonal therapy can provoke an increased risk of sporadic breast cancer. Recent studies indicate that the oxidative metabolism of oestrogens can cause mutagenic DNA lesions. Who and when should be tested? Women before taking HRT and women with a family history of breast cancer. Why MENOPAUSE Profile: Easy to perform and innovative. 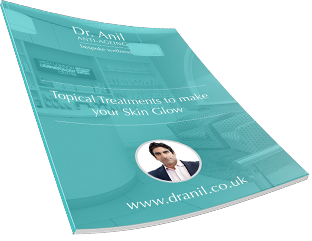 Clear results allowing to choose the right treatment at the right dosage. Results and Interpretation: Allows the determination of risk of adverse drug reactions associated with HRT. The test results indicate which treatment and dosage to choose to obtain the best response. Additional information: Since the MENOPAUSE Profile is a genetic analysis, it needs to be carried out only once in a lifetime. Required sample material is either a blood sample or a saliva sample.